Some of the members of the IEA team working on RE-SAT, the IEA’s energy planning analytics platform that uses satellite data and other environmental data to plan for transition to renewable energy. Dr Maria Noguer, the IEA’s Climate Programme Manager and Manager of the RE-SAT project, is pictured centre. UK-based Institute for Environmental Analytics is to roll out its innovative renewable energy analytics platform, RE-SAT, to six island states in the Caribbean, Pacific and Indian oceans. The extension of the successful pilot of RE-SAT in the Seychelles has been made possible by £2.9m investment from the UK Space Agency International Partnership Programme (IPP). The small island developing states (SIDS) to benefit are at the forefront of transitioning from fossil fuels to renewable energy. They are: Montserrat, Palau, St Lucia, Tonga, Mauritius, and Vanuatu. The IEA will work in partnership with the governments of the SIDS, their utilities companies, their energy regulators and the United Nations Development Programme (UNDP) to tailor RE-SAT to the needs of each state and build the capacity of energy providers, policy-makers and planners to support its implementation, combining our expertise with in-country knowledge and skills. 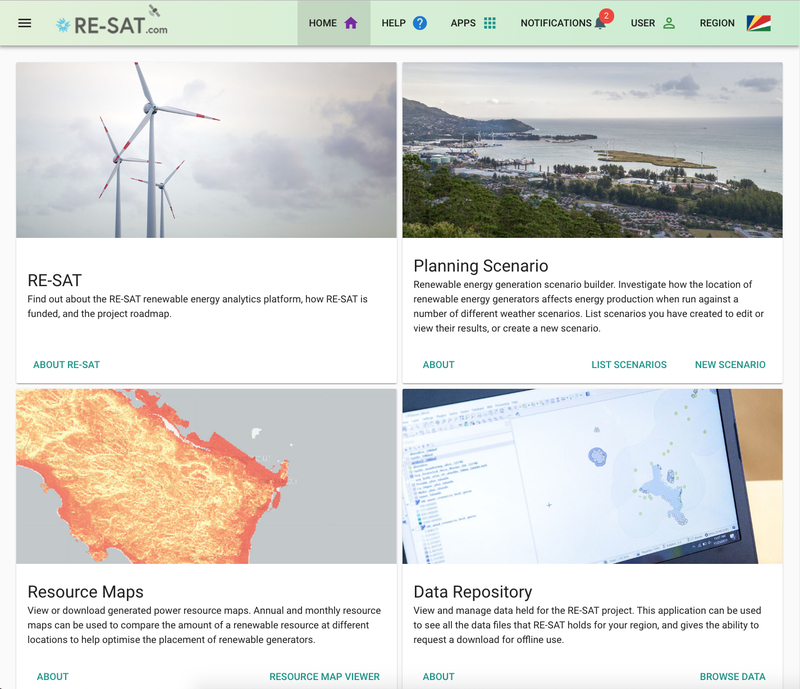 Screenshot of the intuitive RE-SAT energy planning analytics platform that uses satellite data and other environmental data to plan for transition to renewable energy. Colin McKinnon, CEO of the IEA, said: “By working closely with these communities we will provide the quality of data they need to develop sound business cases to switch to renewable sources to a far greater extent. Understanding minute-by-minute variability is a key question as it affects the requirement for reserve energy generation. However, long periods of historic observations are often not available from existing data sources. With our world-leading skills in data analytics we will use Earth observation data to construct a synthetic weather model to improve both the planning of renewable investment and also the management of reserve capacity. ABOUT THE IEA: We work with organisations large and small to help them turn data into competitive advantage through visualising existing data sources, analysing past historical trends and developing predictive analytics tools. We also offer tailored training programmes to develop in-house capacity for data analysis. Our projects cover a range of areas where environmental data is a strong driver such as agriculture, infrastructure monitoring, international development and risk management. All are focussed on quickly but effectively, trialling new ideas and de-risking clients’ investment in new products, services or business processes. ABOUT THE UK SPACE AGENCY IPP: The UK Space Agency’s International Partnership Programme (IPP) is a five- year, £152million programme designed to partner UK space expertise with overseas governments and organisations. It is funded from the Department for Business, Energy and Industrial Strategy’s Global Challenges Research Fund (GCRF). The Global Challenges Research Fund (GCRF) is a £1.5billion fund which forms part of the UK Government’s Official Development Assistance (ODA) commitment and is overseen by the Department for Business, Energy and Industrial Strategy (BEIS), and delivered through 17 delivery partners including the Research Councils, the UK Academies, the UK Space Agency and funding bodies. 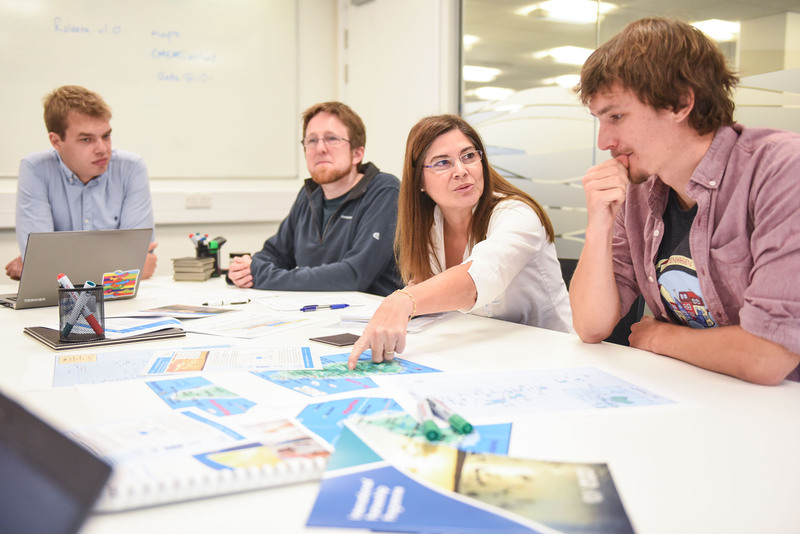 It harnesses the expertise of the UK’s world-leading researchers, focusingW on: funding challenge-led disciplinary and interdisciplinary research; strengthening capability for research, innovation and knowledge exchange; and providing an agile response to emergencies where there is an urgent research or on-the-ground need. For more information on the IEA please visit www.the-iea.org or email info@the-iea.org.